Biochar industries Australia goes full carbon negative with another world first. 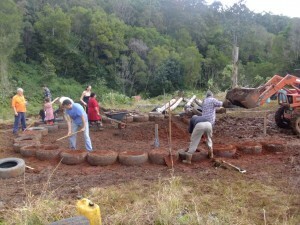 Earthship biochar biomass drying facility being constructed within a stone’s throw from the biochar pyrolysis equipment down at biochar launchpad number one at Kunghur NSW Australia. 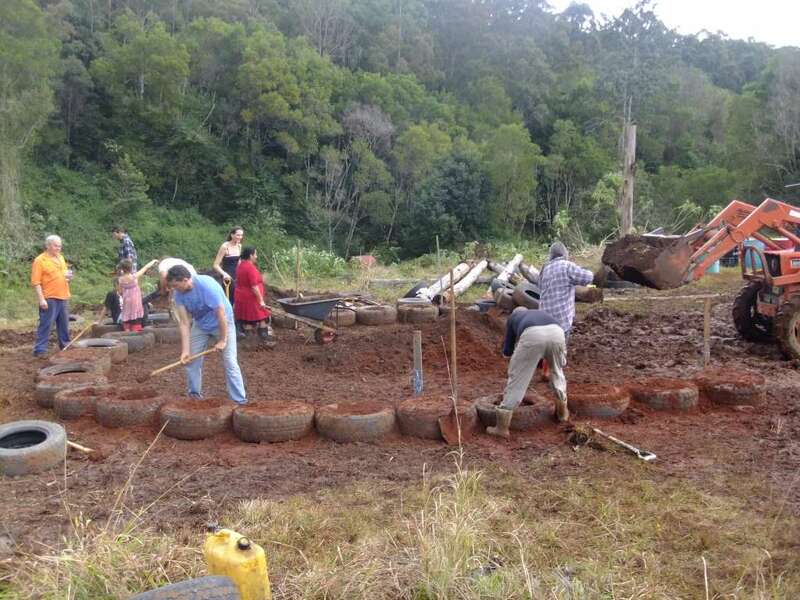 After weeks of planning executives from Biochar Association of Australia, Biochar Project, Biochar Industries Australia, Tweed shire community exchange, Rainbow region Lets and The bush mechanics guild gave the go ahead for the worlds first Earthship drying facility. The concept behind the earthships are simple they are based on thermal masses to attract the heat by day and a system of tubes to allow drafts though the materials. During nightfall the heat moves to the coldest areas and keeps that warm effectively allowing 24 hour free solar heating. No hard science is collated yet as the Earhtship biochar biomass drying facility is not complete. We are taking bets to see how fast we can dry wood. The winner will have the earthship named after themselves. So far over four big monthly events, at biochar Industries Australia the general public have been invited in to help make and to learn how to create earthship structures. An earthship academy expert has moved up from Melbourne to oversee the construction and to establish Australia’s first earthship academy. 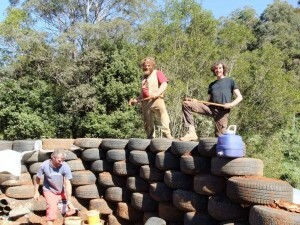 Earthships use old tyres to form the centre of the structure. These tyres are filled with soil and hammered hard turning a 10kg tyre into 130kg structural brick. These bricks are laid like regular bricks butting up to each other and finally having more stacked on top as the wall grows. Our design is to have 8 tyres high, so even the very tallest worker here does not have to stoop down whilst working. This seems to be an optimal level to maintain the heat and to hold sufficient loads for for biochar sessions at a time. 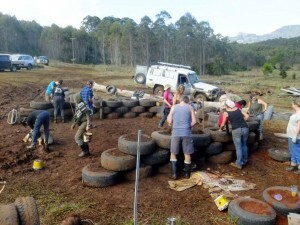 walls are built up as layers and they have earth moved in behind them on the outside to serve as a massive thermal sink and a solid wall so the tyres can not move. 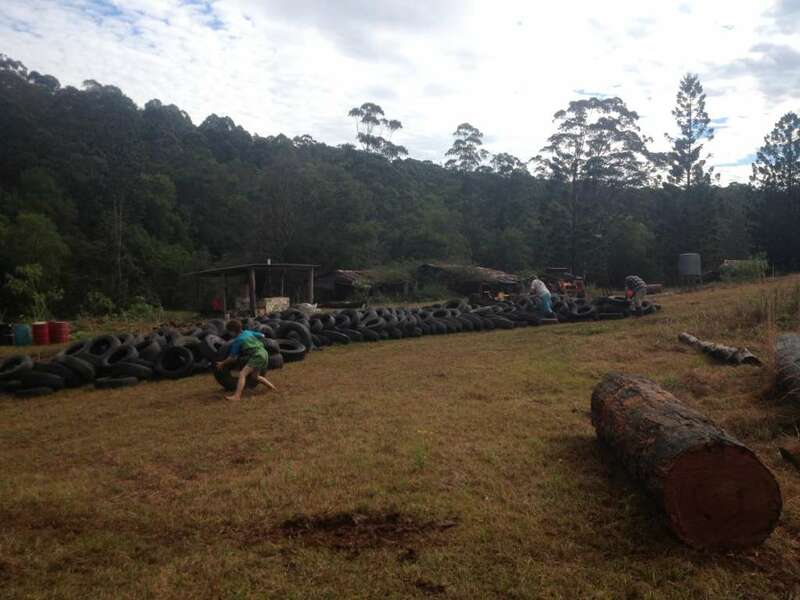 Once the tyres are laid then the rendering can begin this is useful to create a further level of insulation by utilising used glass bottles and aluminum cans. The layout is simple and very functional we have always thought of growing the capacity so we design in a very modular way. Stay tuned for more progress pictures as the big days draw closer to completion. If you want to be notified of any field days of events we hold here at biochar industries Kunghur NSW Australia please click here and sign up for our news letter. Next post: Biochar Retort by the Adam Retort Lao P.D.R.